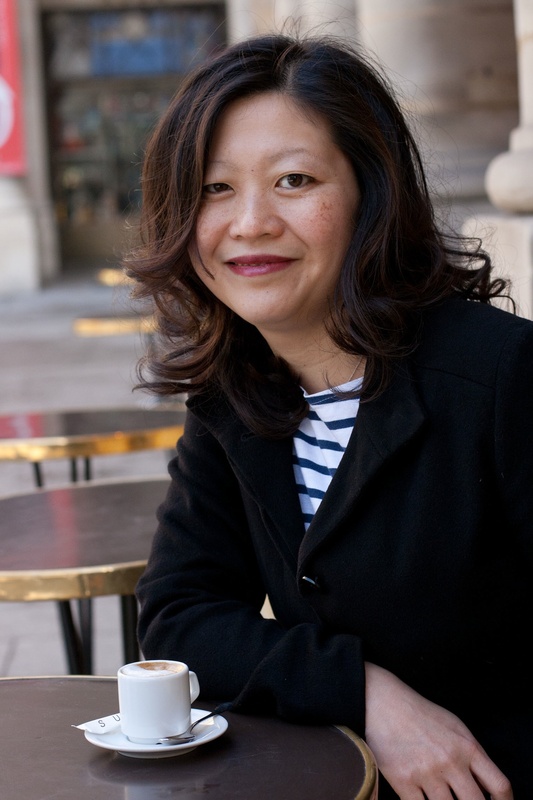 When journalist Ann Mah’s husband is given a diplomatic assignment in Paris, Mah, a lifelong foodie and Francophile, begins plotting gastronomic adventures à deux. Then her husband is called away to Iraq on a yearlong post—alone—turning Mah’s vision of a romantic sojourn in the City of Light upside down. So, not unlike another diplomatic wife, Julia Child, Mah must find a life for herself in a new city. Journeying through Paris and the surrounding regions of France, Mah combats her loneliness by seeking out the epitome of French comfort food—cassoulet—and learning how the andouillette sausage is really made. She discovers the true stories behind the country’s signature regional dishes, exploring the history and taste of everything from boeuf Bourguignon to the crispiest of buckwheat crêpes. And somewhere between Paris and the south of France, she uncovers a few of life’s truths. Excerpt: Mastering the Art of French Eating, reprinted by arrangement with Penguin Books, a member of Penguin Random House. Copyright © Ann Mah, 2014. Including a recipe for Bavette aux Échalotes (skirt steak with shallots). AWP: You are the author of Mastering the Art of French Eating. What inspired you to write this book? AM: I’d always wanted to take a road trip through France, using Julia Child’s classic cookbook, Mastering the Art of French Cooking, as a guide. When my husband and I moved to France for three years, it seemed like the perfect opportunity. Unfortunately, he left for Baghdad shortly after our arrival in Paris, and my dream of living in France changed. But with his encouragement, I still traveled throughout the country—albeit, on my own. The book grew from those travels, from my eating adventures, my fascination with the history I discovered, and my admiration for the home cooks and food artisans I met along the way. But, really, writing the book was just an excuse to tour around France and eat! AWP: Were you on a quest to taste the last great French dishes before they disappeared forever—from Paris’ surviving haute cuisine establishments to the tiny local restaurants in the provinces? AM: I think it’s probably more accurate to say I was on a quest to discover the roots of the classic French dishes. I love the connection between food, and place, and history in France, the sense of continuity, the way a recipe grows from the land, takes root, and is cooked and eaten in that same spot for hundreds of years. AWP: You entrench your work ten regions of France, mapping the traditions of local dishes. What challenges did you encounter, and how did you unfold the story you wanted to tell? AM: The opportunity to travel alone around France, researching the country’s culinary traditions was both the best and most intimidating experience. I’m an introvert, so it took a fair amount of gumption to introduce myself to strangers and start asking them quite intimate questions. In the beginning, I felt awkward traveling alone—especially dining alone in restaurants, when it felt like everyone was staring at me. But after the first few trips, I started to enjoy being on my own, creating my own schedule, eating when I felt hungry, and dropping everything to, say, hunt down an obscure buckwheat farmer. AWP: During your research for Mastering the Art of French Eating, what restaurants, bakers, chefs or shopkeepers wouldn’t you include? AM: There are so many French dishes I wish I could have included—too many to count! Every time I tell a French person about my book, they want to know if I featured the classic dish from their region. If the answer is no, I’m always a little embarrassed. And of course I still joke that I could write a book about the least known dishes in French cuisine. AWP: What was the most surprising thing you learned about French chefs or French home cooks culinary secrets? AM: It shouldn’t have surprised me, but I discovered a universal allegiance to grandma’s cooking: whether it was choucroute, boeuf bourguignon, cassoulet (or any of the other dishes in the book), Granny makes the best, of course. AWP: A book can only be so long. Is there a subject you would have like to treat more fully? AM: This book focuses on savory cooking, but I’d love to learn more about the culinary and cultural history of French desserts. AWP: How are the stories of traditional dishes remembered and retold in French Culture? What do they hide and what do they preserve? AM: They’re relayed via the table, of course! Through the act of cooking and sharing, the childhood memories of beloved family gatherings, and the ritual passing down of family recipes… Just like in every culture. AWP: Your research is exemplary. How did you accumulate and obtain this information? Was it primarily in French? What were the challenges, and how did you uncover these stories? AM: Traveling and eating the dishes in their region of origin was the best (and most fun) form of research. I also visited local museums, collected local cookbooks, chatted with many home cooks and professional chefs, and asked a lot of questions. I feel lucky to have had the opportunity to study French—without language skills, the kind of book research I wanted to do would have been impossible. AM: My friend, the writer John Baxter, once told me something very wise: “Paris is not France—it’s like an island floating in the world.” I love Paris for its elegance and appreciation of beauty. But I also love rural France—especially because of the intersection you find between food, and place, and history, which I mentioned above. AWP: Which cuisine offers a perfect snap shot of modern Paris? AM: I think it’s difficult to encapsulate Paris into a single cuisine—like most capital cities, it’s a vibrant, humming city, where the world’s cuisines are enjoyed, celebrated, and sometimes combined—everything from Japanese udon noodles, to couscous royale, to a humble croque monsieur sandwich. AM: To me, there’s no place more warm and welcoming than Le Mistral, a café in the 20th arrondissement, a neighborhood institution opened in 1954 that retains its classic zinc bar, chalkboard menus propped up on wooden chairs, and red pleather banquettes. Like many Parisian café owners, the proprietors—brothers Didier and Alain Miquel—hail from Aveyron, a remote area in south central France. As a result, the menu pays homage to their region with Aveyronnais charcuterie and wine, steaks of Aubrac beef, and aligot, a potato purée beaten with melted cheese until it flows like molten lava. (401 rue des Pyrénées, 20th arr. ; 33-1-46-36-98-20). AM: Adventurous! French people aren’t generally known as bold eaters, but every single one of my French friends has been wildly enthusiastic about trying new flavors and foods. AM: I laughed the other day in the bookstore, when I saw a new cookbook: “Sushi Slim: comment garder la ligne à la Japonaise.” In France, it’s JAPANESE women who don’t get fat! AM: He’s not based in Paris, but my lunch at Michel Bras in Laguiole was an unforgettable combination of memory, flavor, and pure emotion. AWP: Do the French have a different attitude toward what they eat than do North Americans? AM: French people are extremely dedicated to the dining experience—they even eat hamburgers with a knife and fork!—and tend to savor their meals. Food is a special, pleasurable part of the day, a moment to fuel the body and nourish the soul. While I appreciate lengthy meals, I will say that, as an American, one of the things I missed the most in Paris was a quick, light lunch, eaten at my desk! AM: It wasn’t a dish, but a trip to Paris. I was six years old and on a family vacation. We arrived in Paris in the midst of a high-summer heat wave. Every aspect of the city assailed my senses from the seesawing sound of the sirens to the imprint of wicker café chairs against my legs. I didn’t like everything, but it all gripped me under a spell I would come to know was Francophilia. Meanwhile, my fifteen-year-old brother was at the peak of his rebellious years. He spent a lot of time plugged into his Walkman while my parents coped by drinking red wine. AWP: How do you stock your kitchen? Do you have staples? AM: I like to keep a few French staples on hand: green lentils “de Puy” (they’re great in salads), piment d’Espelette, fleur de sel, and raspberry honey, which is a new discovery and delicious on buttered, toasted baguette. AM: Alas, I throw very few dinner parties these days now that we have a baby daughter who goes to bed at 7pm! But when I used to entertain, I relied on stews or braises, made in advance, and reheated. That kind of dish always tastes better the next day. AWP: Entertaining at home in France (or Paris) are there unspoken rules? AM: For me, the same rule applies everywhere in the world: I eat what my host has prepared, with enthusiasm. If I don’t like it—well, those experiences turn into the best stories. AM: I often travel by myself on reporting trips and, honestly, I still don’t love eating alone in restaurants. I do love reading and eating, and I always bring a book—my e-reader makes it easy to turn the pages, even with sticky fingers. You may also enjoy A Woman’s Paris® post French Impressions: Capital Fare: Patricia Wells on great French food in Paris. Patricia Wells, author of the award-winning Bistro Cooking, and for more than two decades the restaurant critic for The International Herald Tribune, takes readers, travelers and diners to the best restaurants, bistros, cafés, patisseries, charcuteries, and boulangeries that the City of Light has to offer. Including Willi’s Wine Bar’s Bittersweet Chocolate Terrine—the irresistible chocolate dessert that is one of Patricia’s Paris favorites. Text copyright ©2014 Ann Mah. All rights reserved. 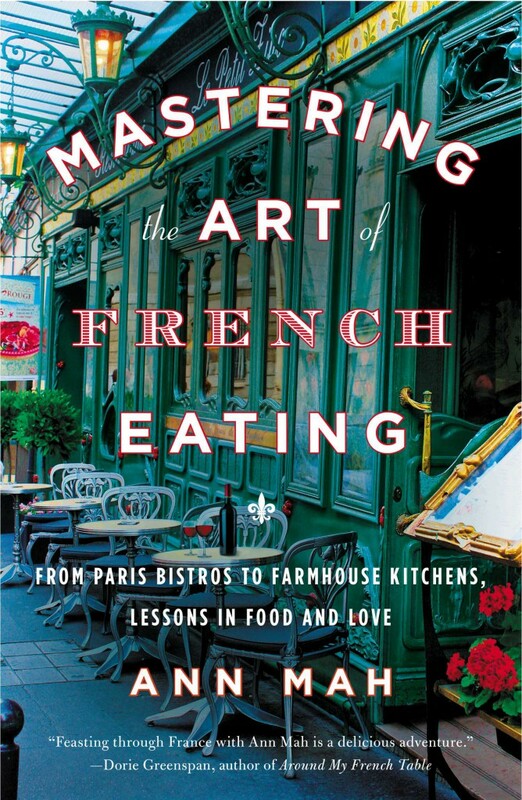 Leave a reply on "French Impressions: Ann Mah’s “Mastering the Art of French Eating” on gastronomic adventures in France"